Genuine OEM Lexmark Photoconductor Unit, 20,000 page yield. 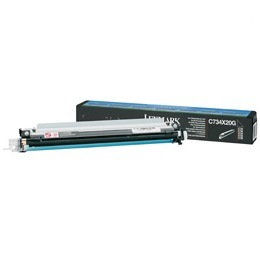 Lexmark part number: C734X20G. Photoconductor Unit compatible with Lexmark C734, C736, X730, X734de, X736de, X738.